Let us help you turn your backyard into your own private paradise. 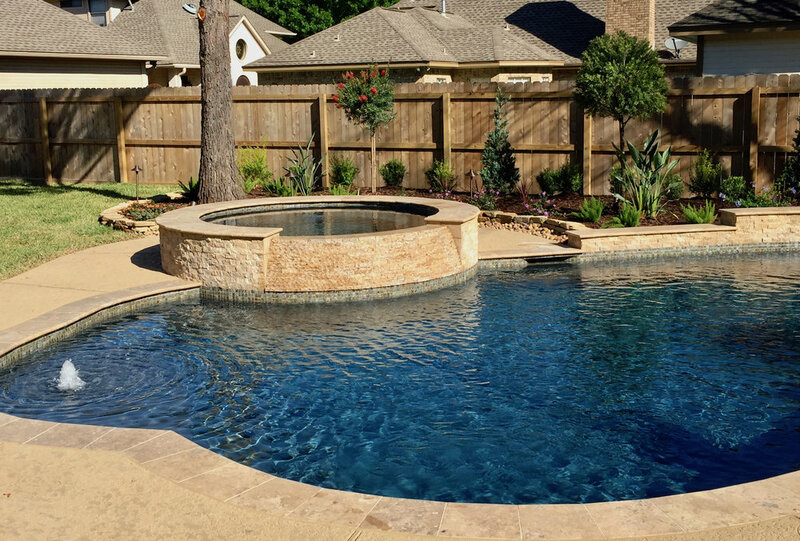 Backyard Amenities specializes in designing and building custom pools for Houston homeowners, and has been doing so since 1998. We are a family owned and operated business whose founders are involved in every project the company takes on. Brad and Patty Stephens are the kind of owners that want to stay connected to their clients, and are there for you from start to finish. This dedication, coupled with their extensive experience, has allowed them to make Backyard Amenities the leading pool builder in the region. Our in-ground pools are made of the highest quality materials. We also take steps to ensure that our construction costs are carefully controlled and planned out beforehand. No matter what kind of design you select, you'll know that you will be getting a long lasting and pleasurable return on your investment. Imagine turning your backyard into a tropical oasis where you can relax in warm waters nestled among the lush plants and flowers. Backyard Amenities can create natural-looking pool shapes or geometric pool designs that can include special features like fountains, slides, steps and unique design details that make your pool a one-of-a-kind getaway for yourself, family and friends. If you can imagine it on your property, we can create and build it. Every swimming pool design we do is a work of art. Even better, it's a part of your home, and a source of joy for your family. Whether it's a way to get regular exercise or the perfect centerpiece for your party, your pool will be an endless source of delight from the minute it's completed. 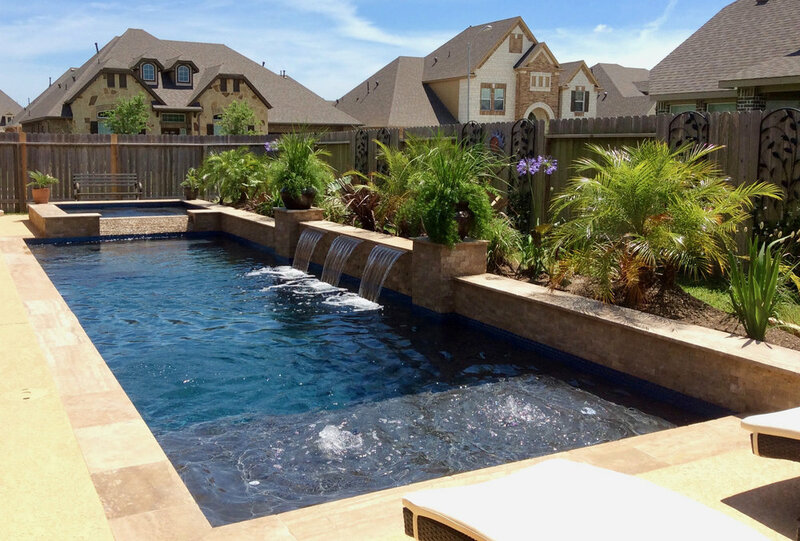 Contact Backyard Amenities for the finest swimming pools and original designs in the Houston area. We look forward to giving you a little piece of paradise right in your own backyard! We use a third-party service called GuildQuality to survey our customers shortly after construction. These surveys allow us to gauge how well everyone on our team is contributing to our goal of providing each and every one of our customers with exceptional service. Read more of our reviews from our customer here. Backyard Amenities is a small family-owned company founded by Brad and Patty Stephens in 1998. Brad began working in the pool industry in 1981 and remembers thinking he'd do things differently if he owned the company. Over thirty years later, Brad and his wife, Patty, have managed to create one the country's top swimming pool construction companies that focuses on each individual customer's needs.